A couple of weeks ago I was in London to see The Ruling Class at the Trafalgar Transformed. Amazing performance. I loved every bit of it. 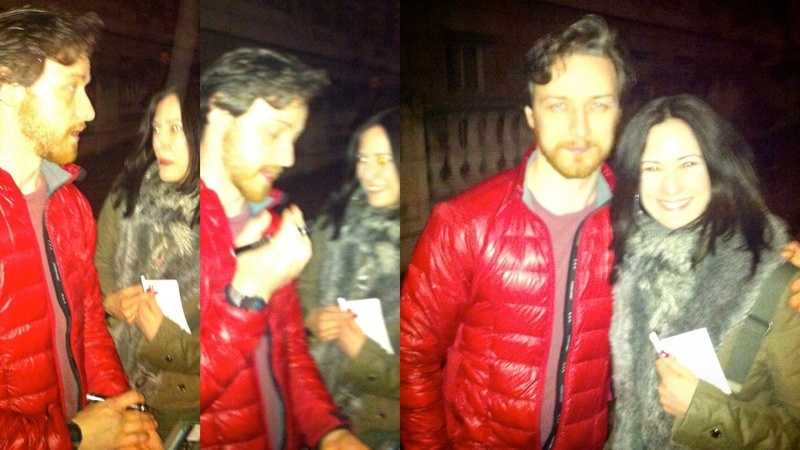 As I am a huge fan of James, after the show I went to the backstage entrance door, I stood in a very British line and I waited for him to come out. He does it almost every night. 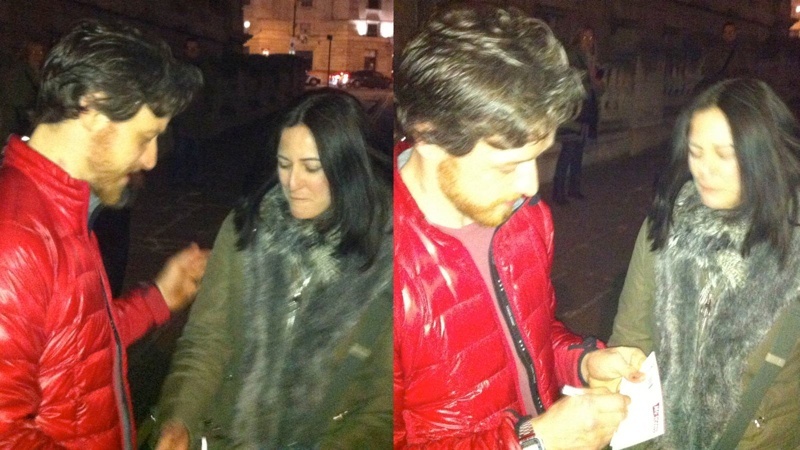 He goes through the line, takes pictures with fans, signs everything they ask him to sign, chats a little. Then my turn came. I said him he was superb in the play. 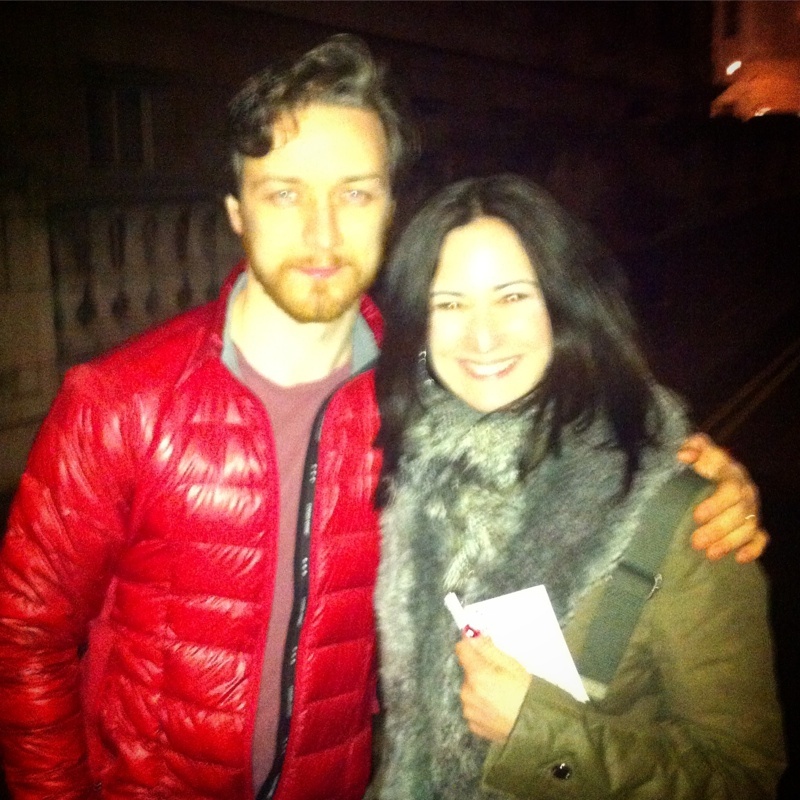 I said him I saw him two years ago in Macbeth and I thought I’ve seen it all but no. He surprises us every time. (Did I tell you I am a HUGE fan?). – Yes! May I ask you, and publish, which is your favorite pasta dish? – Great thanks! I will publish the recipe for you! As he is ever reading it… but hey! You can never know! 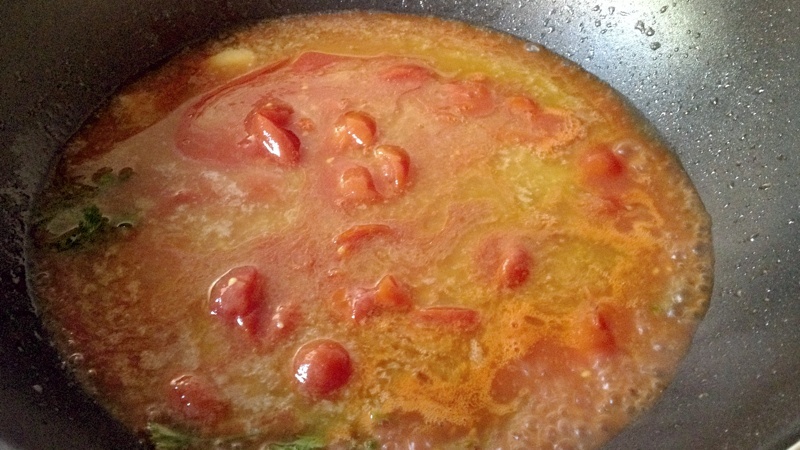 Blanch and skin the tomatoes, then halve them and chop into small pieces. Put a pan of water on to heat for the pasta. A couple of minutes before boiling, add the salt. The right proportion is one liter of water and 10 g salt for 100 g pasta. 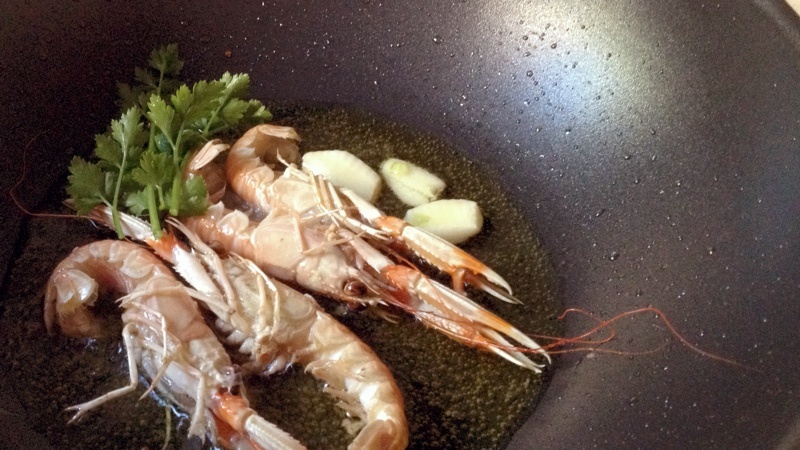 Put a couple of lugs of olive oil in a second pan, and fry the scampi, garlic, chili pepper and some of the parsley for a couple of minutes, until the scampi turn pink. Add the wine, cook for 3 minutes more. 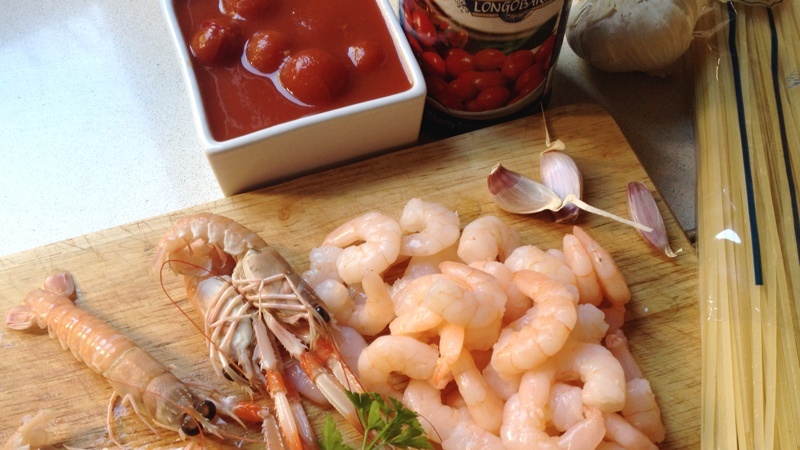 Retire the scampi and add the tomatoes. 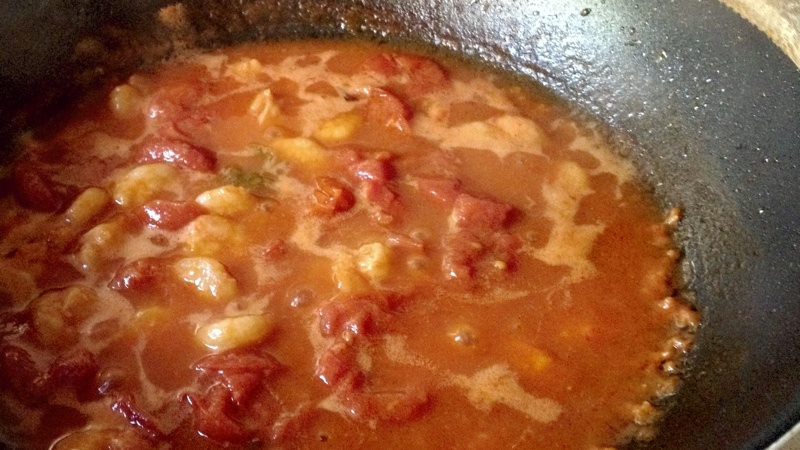 Cook them for 5 minutes, add the peeled shrimps and cook for 5 minutes more. Check the salt. Remove the pan from the heat. 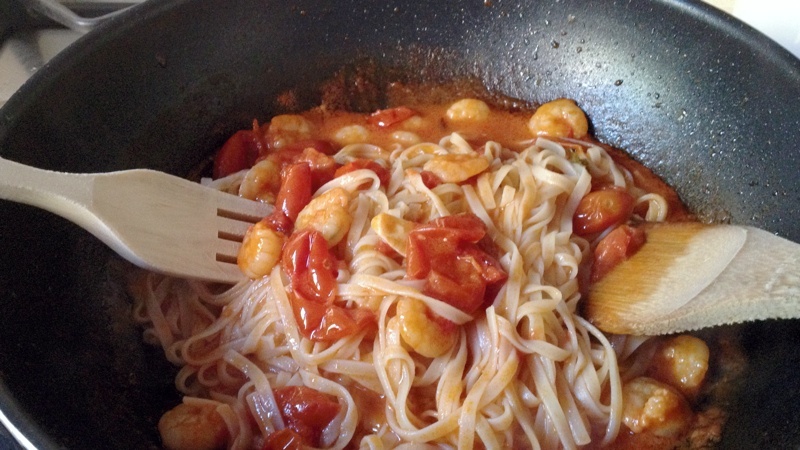 Put the pasta into the boiling water and cook it according to the packet instructions. If your sauce has cooled down then reheat it now. 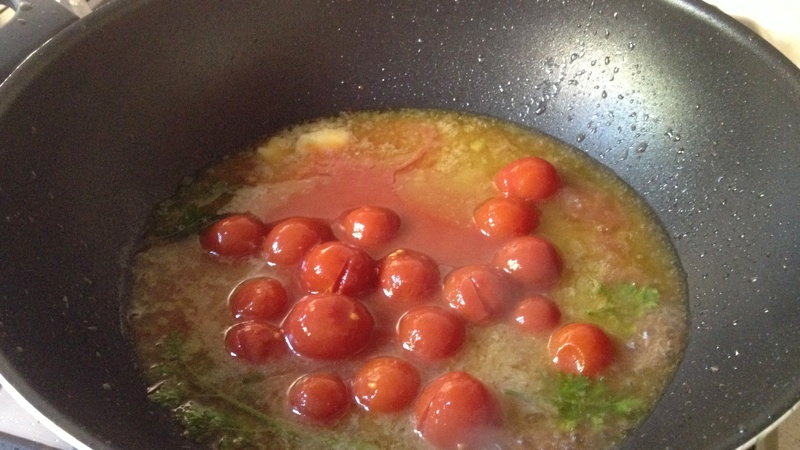 When the pasta is cooked, drain it in a colander and then toss with the parsley in the pan with the sauce. Prepare the plates decorating the linguine with the fried scampi and some more finely chopped fresh parsley. Enjoy! and James! if you ever read this please leave a comment! Hola Antonella! Sóc en Sergi Farrés, el propietari del Davita, hem obert fa una setmana, es un concepte nou, un mercat gastronòmic italià amb 9 parades, m’agradaria molt que vinguessis a provar la nostre pasta, estem a rosselló 231! T’esperem! Hola Sergi! Com vagi a Barcelona us vindré a veure. Vols que t’avisi abans? 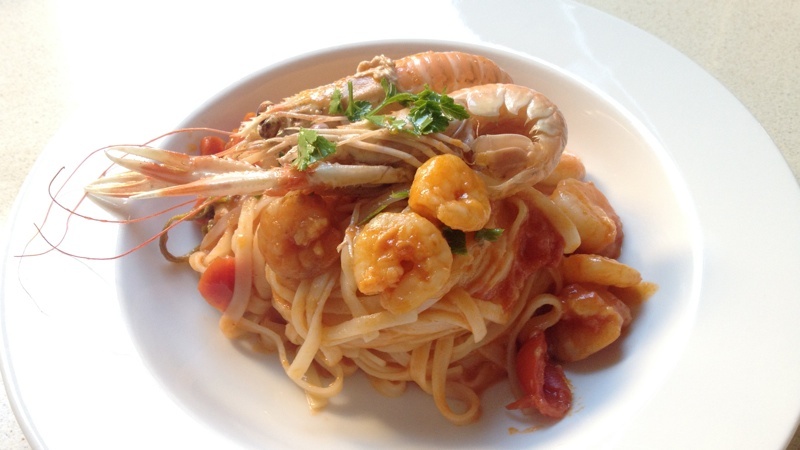 Maybe this “anniversary” would be the perfect occasion to introduce Casarecce, yet another format of pasta which seems (not only, but also) perfect for the “allo scoglio” preparation … Yuuuuuummmm.